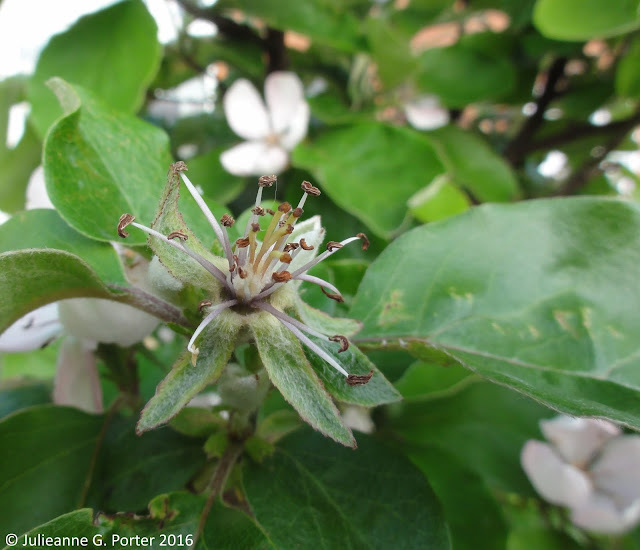 Is this the year when I will finally have my first, edible fruits, from my Quince tree? Now that it has finally flowered, Quince watch has officially begun. My Cydonia oblonga 'Serbian' (also known as 'Leskovac') is now about 6 years old. Last year it managed one solid hard golf-ball sized fruit. When I say solid, I mean granite solid. It was solid. Like Alison over at The Blackberry Garden, I have hopes for non-solid fruit this year. Even, dare I suggest it, edible (jam-ible) fruit? Is this a potential quincelet? I live in hope. And with a watchful eye. You certainly have lots of flowers, so hopefully you will have fruit. Are bees visiting the flowers, if not a little brush could help to pollinate the flowers? Yeah, apparently quince is self-fertile: but the yield is higher if you can leave it to cross-pollinate. So maybe it's worth trying a little brush on one half, and leave the other half for the bees, and see where all the quinces appear? I think some bees are visiting. 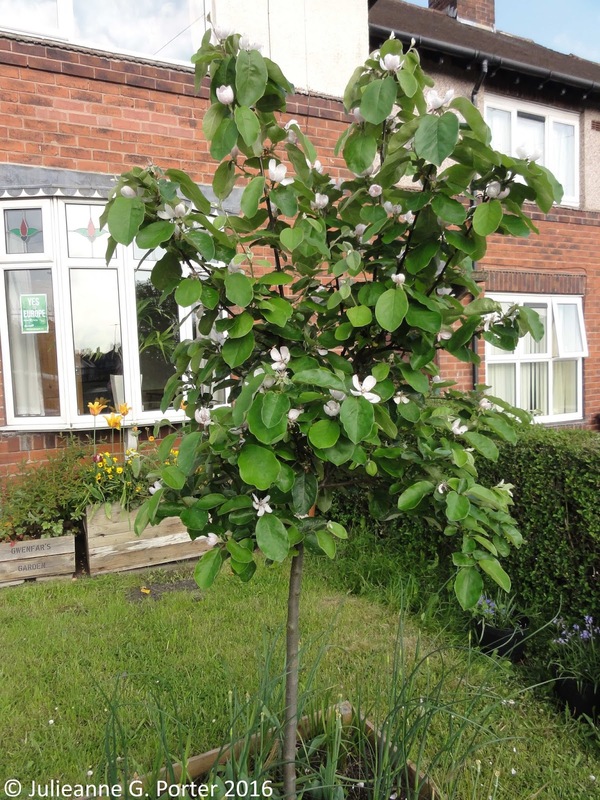 My quince is in the front garden and we are on a busy road, so maybe not as many bees as in the back garden. I think you are both right so will give a go at pollinating some of the flowers myself. All the quinces - indeed! Fingers still crossed. 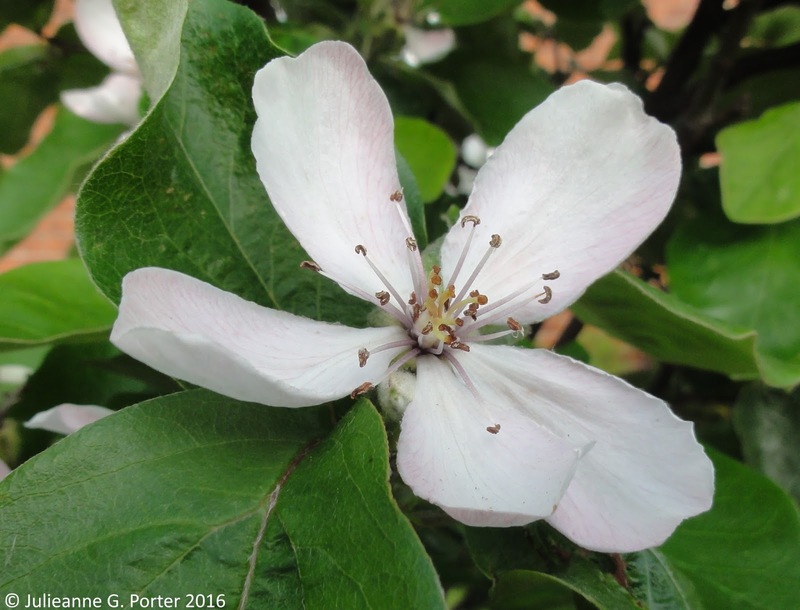 Our quince is unintentionally next to the pollinator holes in the side of our binstore. Just occurred that this might have helped with pollination. My worry is my plant is 2/3 years old and is covered in fruit. Should I take some/all of it off? I think Quince is the same as Pears and Apples, in that you should thin some of the fruit out to allow the rest to develop fully. 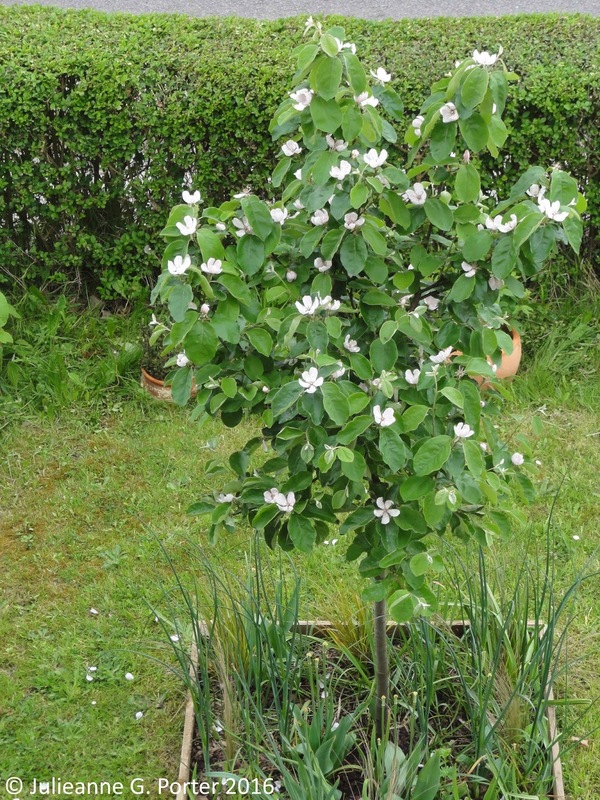 If all the blossoms on my tree started fruiting (unlikely at the moment! ), I'd probably think off a half of them. Here's hoping for jam-able quince! Oh, the anticipation of it all Julieanne. I hope you get your wish.